Held for the first time in EDF R&D’s new location on March 16th, Salome-Meca and code_aster users day 2017 was a great success. 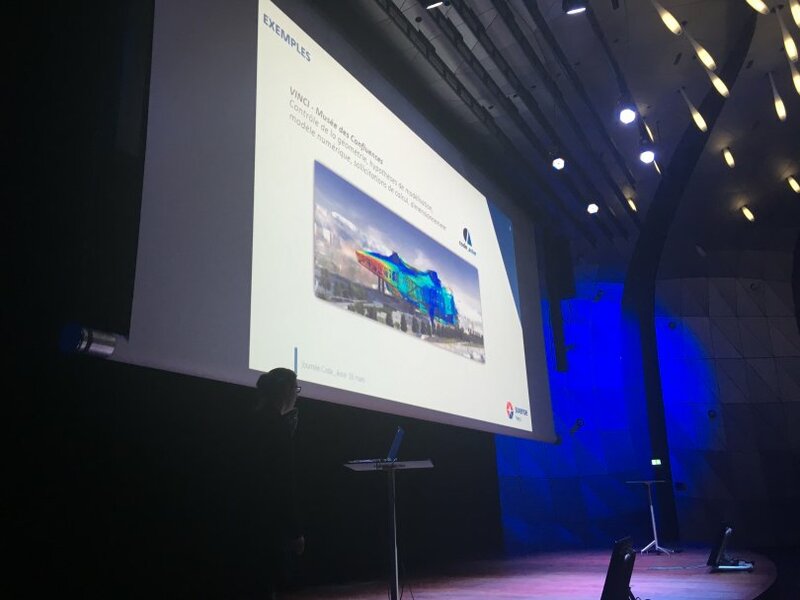 This event, which inaugurated this year a new format, was also the occasion to unveil several revolutions in progress around our platform of simulation in mechanics. New location, new format: hello Saclay! 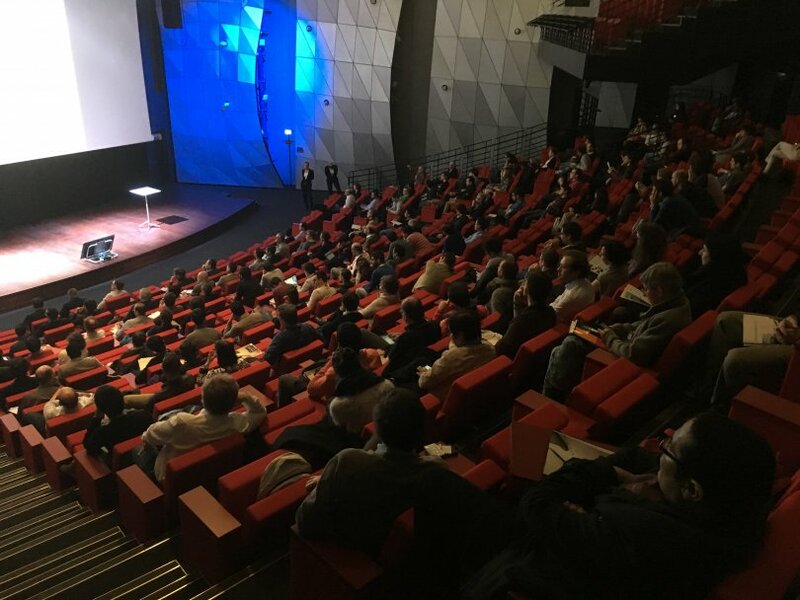 This year event established a record of participation up to the prestige of EDF Lab Paris-Saclay large auditorium: nearly 250 people attended, half of whom were from outside EDF and almost a quarter outside France. A new format was inaugurated for the day, which was appreciated by the participants: the presentation of the news was reshaped and pitch sessions were inserted among the technical presentations to allow small and medium-sized companies as well as startups to highlight their achievements with code_aster and Salome-Meca. 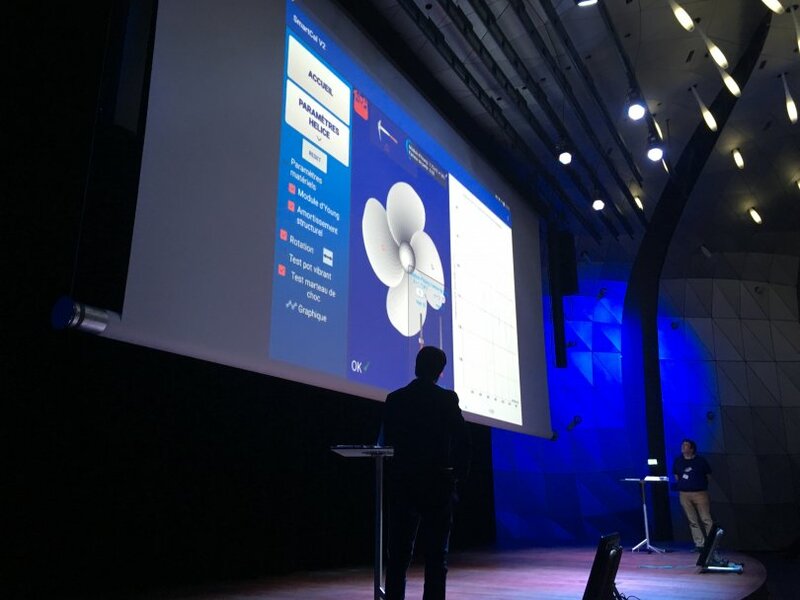 Technical presentations and pitchs focused on a wide range of applications, demonstrating our tools’ ability to create value in many areas of EDF’s business - not just in the nuclear industry - and beyond. 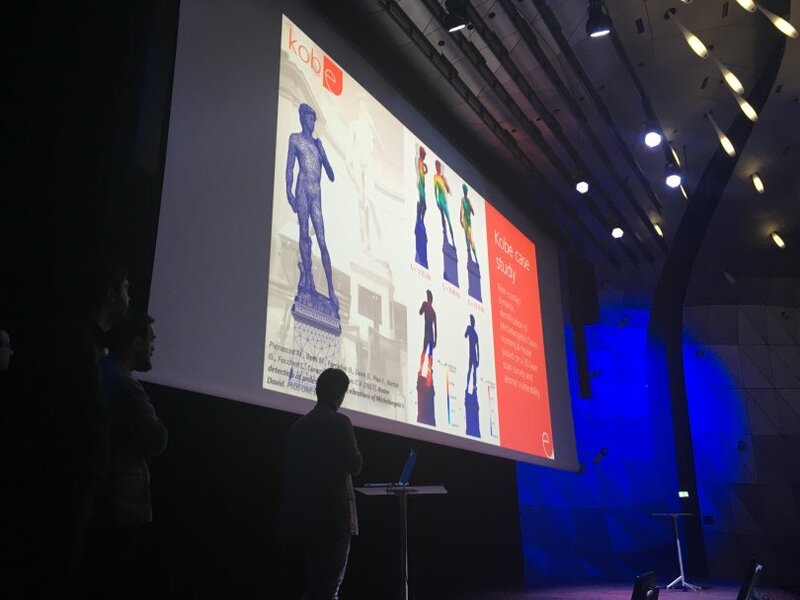 Members of the code_aster professional network have presented particularly noteworthy applications such as the analysis of the vibratory behavior of the statue of David by Michelangelo (Kobe Engineering) or the vibratory comfort analysis of the New Longchamp stands (Tractebel Engie). 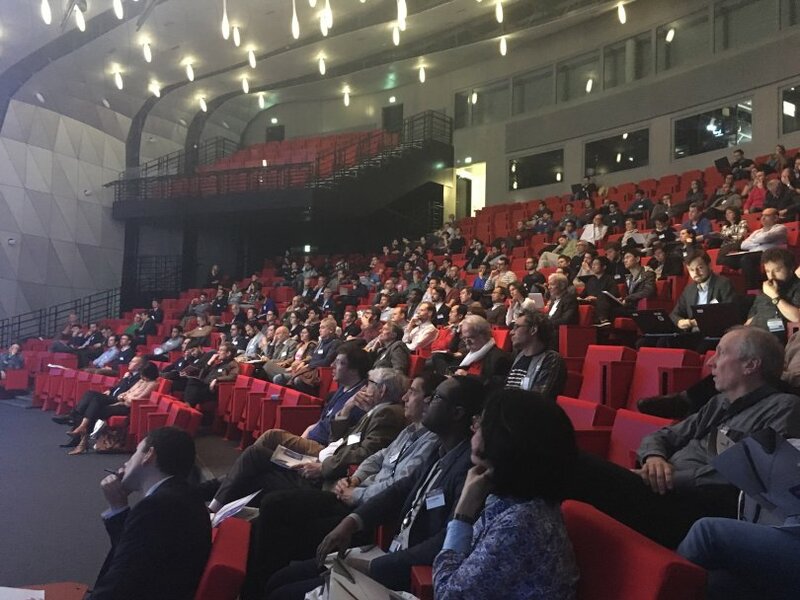 This year, almost three quarters of the presentations were conducted at two or more voices, illustrating the strong collaborations between R&D and engineering units in France and abroad. Presentations are available on the page Presentation/Example of studies. In addition to announcing the arrival of a massively parallel and completely Python-interoperable version of code_aster in the coming years, the day was the occasion to unveil AsterStudy. 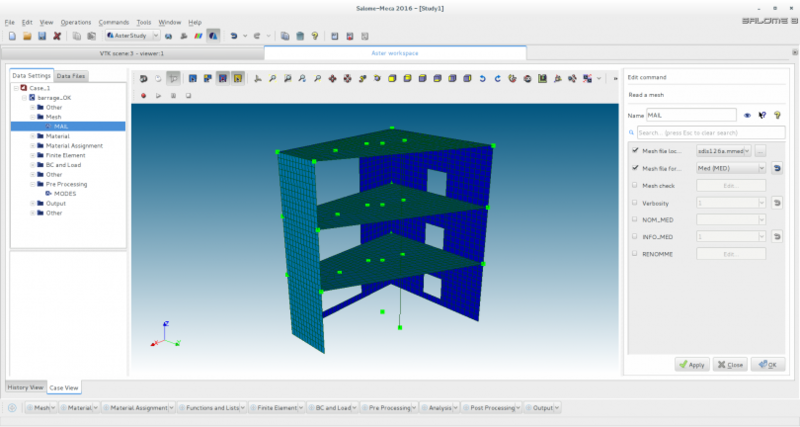 The future graphical user interface of code_aster in Salome-Meca will replace, starting July 2017, the legacy tools used for data settings and calculations launching. It was the subject of a demonstration which led to a long series of exchanges between the team of the project "Simulation platform in mechanics" and the participants of the day, proof of the interest that AsterStudy already aroused. For some of the participants, members of code_aster ProNet, the exchanges continued the next day at the seminar that was dedicated to them. Proof of the increasing interest of industrial partners and the academic world for code_aster, this network federating professional users now counts 80 members of 17 nationalities only five years after its creation. The event of March 17th brought together 42 participants from seven countries. This year, we note the large number of detailed feedback reports, a sign of the increasing use of code_aster in production. Several members have also presented particularly successful platforms built on top of code_aster in a short period of time. 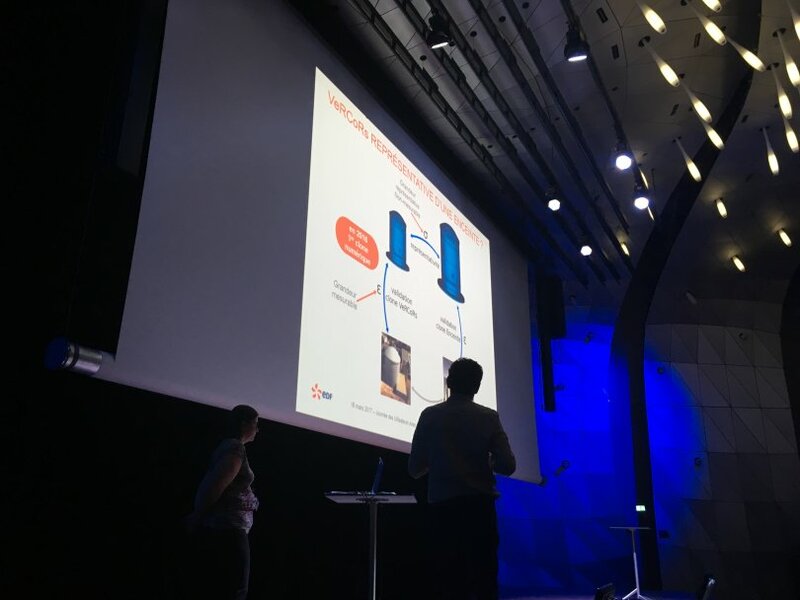 These are strong signals that the network is reaching maturity and can now fully fulfill its role, including for EDF, to build partnerships and share experience.